We are a day away from the official unveiling of the Lenovo Z5 but that doesn’t stop new leaks and rumors from coming through. 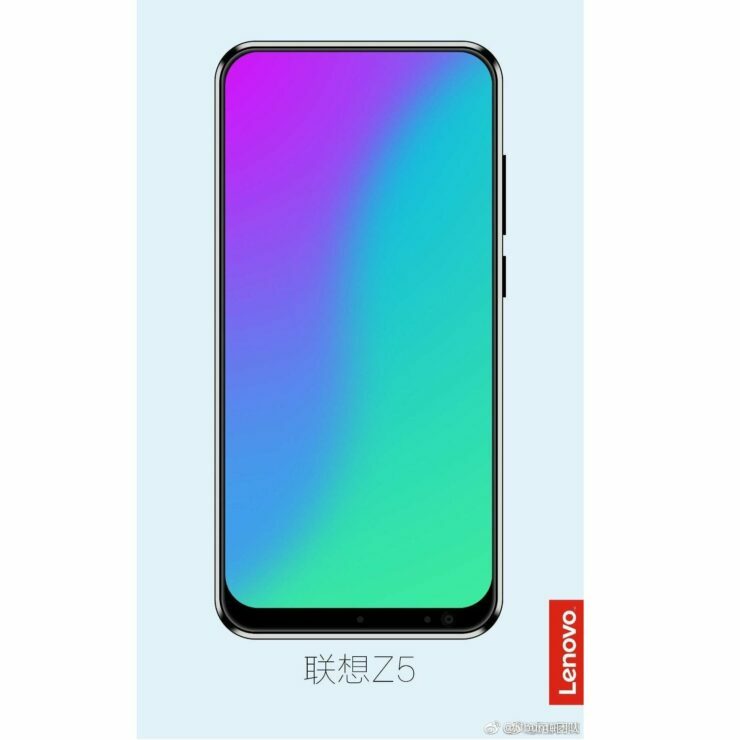 Two new renders of the Lenovo Z5 have shown up that display the phone’s razor-thin bezels, rounded corners, but one thing that removes the ‘truly bezel-less’ tagline from the handset, a thin chin below the screen. 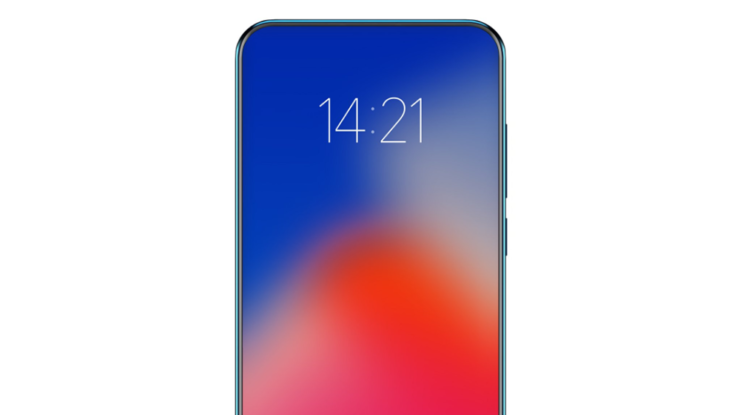 While these renders also indicate that the Lenovo Z5 will have an embellished metal frame and that the phone’s back will be made of metal as well, the bottom parts of the device were never shown. Fortunately, we now know what it will look like and though it is no Vivo APEX, there are other things to look forward to from the device. The glass plus the metal design of the phone has been confirmed by Lenovo’s VP with a new render he shared (via AndroidHeadlines). The render also reveals a dual camera combo that is vertically arranged, like several Android devices these days. The two leaked renders also reveal that the volume up and volume down keys, the power/lock button will be on the right-hand side of the handset. It looks like there are no physical buttons on the left. An earpiece cannot be seen in the images, while the selfie camera and other sensors are located below the display. If you observe the chin below the screen carefully, you will see some sensors and a front camera. The selfie camera appears to be on the bottom-right corner of the smartphone, and there are some sensors on its left, with one sensor centered below the screen. 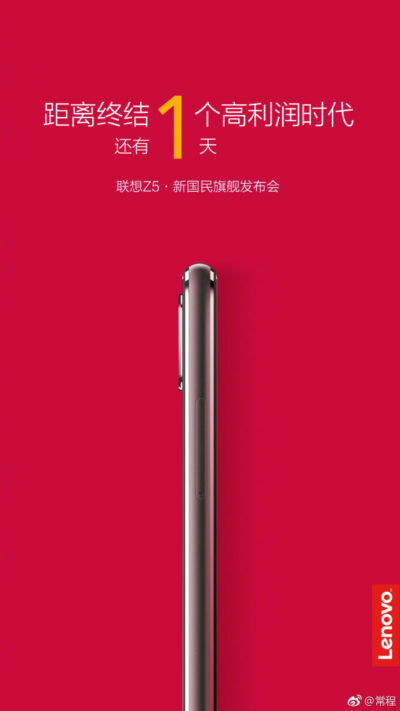 The Lenovo Z5 will officially be announced on June 5, which happens to be tomorrow. We already know a lot about the phone, thanks to Chang Cheng, the company’s VP. The phone will reportedly have 4 TB of internal memory, 45 days of standby battery life and a screen-to-body ratio of 95 percent. Since the phone will have a glass and metal design, it is possible that it will support wireless charging too. The fingerprint reader might be located on the back of the phone or it may come with an in-display fingerprint sensor. Even though technical details of the phone aren’t known yet, it is expected to be Lenovo’s new flagship, with the handset expected to be fueled by the Snapdragon 845 64-bit octa-core processor, complemented with 6GB of RAM at last and running the latest version of Android.